Currently, my table looks to be set for about 100. Not that I ever sit there, anyway. But why? 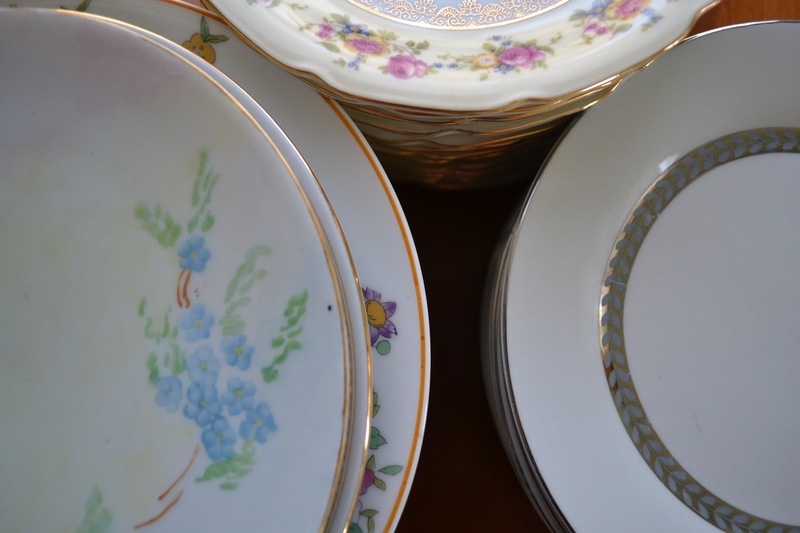 After seeing all kinds of tempting images on Pinterest (the wedding planning rabbit hole), I was kind of disappointed when it seemed like using vintage china for our wedding reception tea was going to be an unneccesary hassle. Then, when our catering plans had to change, our source of institutional china disappeared. I would not say that I was disappointed. 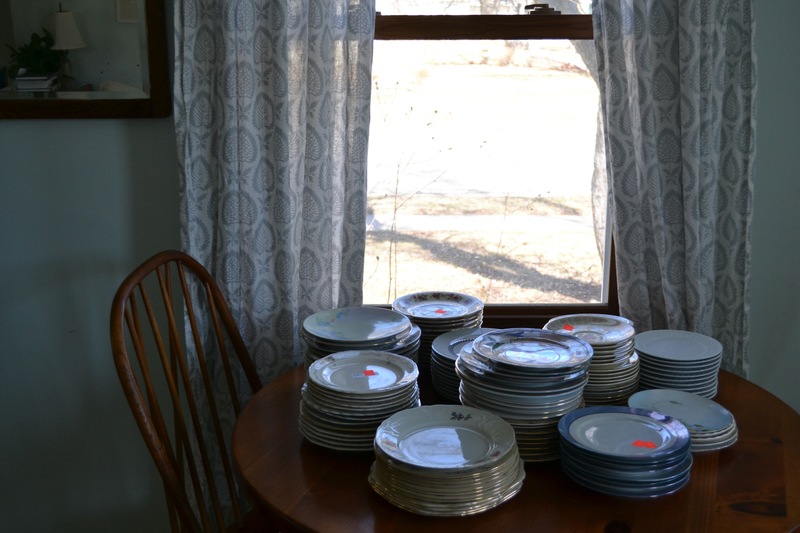 For the last month or so, I’ve been collecting orphaned plates from thrift stores. It’s a funny thing, really, to be registering for my own wedding china—agonizing over the decision between this teacup and that teacup, a platinum band or something more daring—as I debate whether $1.50 is too much for a salad plate that someone else probably chose for their own wedding forty or sixty or eighty years ago. I have cake plates, luncheon plates, teacups, saucers, spoons, and forks. I have no idea how this is all going to come together right now. I’ve always been a trial-and-error home decorator—I figure out what I think looks right by bringing things home and coming to love them… or not. This wedding assemblage is harder because I can’t quite see what it all will look like right now—I am surrounded by teacups wrapped in paper and vintage silver-plate packed away in worn wooden chests. Ricky went on some plate scavenging missions with me and could not understand how I was determining which plates would do and which would not. I’m not even sure that I really know. I’m just mixing and matching and hoping that it all shakes out in the end. I love the close up pic of the plates. This is way better than renting samey china. Where will the cats sit now that the plates are on the table?